A brief history of Lebanon in general and Beirut in particular. I’m in a shared service taxi heading east from West Beirut, and the car is barely moving. We’ve been stuck for almost an hour on a stretch of road that should take 15 minutes to traverse. Umm Kulthum plays on the radio while Wafiq, the retirement-age driver, complains vociferously to the veiled woman sitting next to me in the backseat. Even by the standards of a city known for its congestion, today’s traffic jam is excessive. He laments the traffic, with occasional quips to the drivers next to us who seem just as fed up about the situation as he is. Outside the car, it’s a honk fest. Honking is a popular language on the streets here, especially among the service drivers, who navigate the city’s narrow streets honking their horn at everyone and everything that catches their eye. Out of the window, I watch the unmoving vehicles next to us, as a mid-autumn breeze blows through the car. Wafiq takes a long drag from his cigarette and pounds the horn with all his might, as if honking alone might break the stalemate, before continuing to rant about everything there is to rant about. The veiled woman soon joins him. Not in the mood to participate, I put my earphones on, furtively muting the volume on the off-chance I might be entertained. In Beirut, complaining is second nature. Later on, through my muted headphones, I hear Wafiq switch to the news channel. 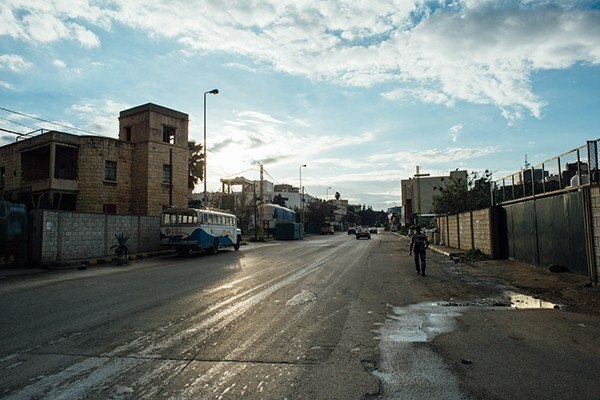 We discover that the downtown area — the once-beating heart of the city, and midpoint of division between a predominantly Muslim West and Christian East during the Civil War — is closed because members of the parliament have left their offices to show solidarity with the families of Lebanese soldiers kidnapped by Daesh (or the “Islamic State”). The families are camped in Riad Solh Square, in front of the Grand Serial, to protest the government’s inaction on this matter, paralyzing the city for the afternoon. Downtown Beirut has been the stage of many protests in recent years, with various factions shutting it down on a whim for the sake of political grandstanding. 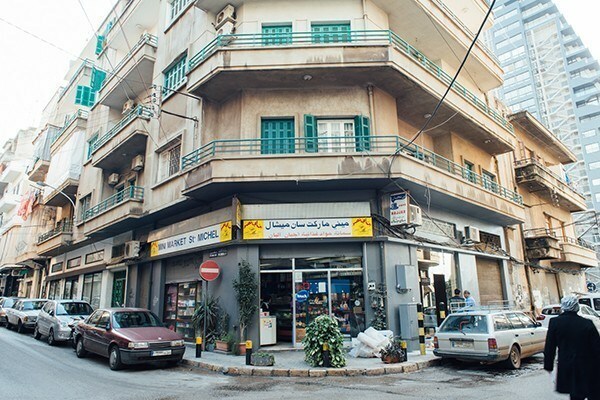 Perhaps most notably, Riad Solh Square was the arena of choice for Hezbollah’s supporters in the winter of 2006, who camped out along with their flags, tents, and stoves, in an attempt to pressure the then-US-backed government to resign. During other less tense and dramatic situations, various groups have come here to voice demands and draw attention to their cause. Public sector employees demanding wage increases and improved social security routinely fill up the square; as do service taxi drivers, families whose sons have gone missing in Syrian jails, activists calling for an end to the sectarian system, women seeking protection from domestic violence, different minorities seeking social equality, activists protesting the parliament’s extension of its own mandate, journalists outraged by political attacks on the freedom of the press, etc. With no apparent letup in the day’s gridlock, I get out of the taxi and continue on foot toward my destination. I’m heading to Mar Mikhail, a district north of downtown, which in the past few years has been transformed into a giant watering hole. I’ve come here to meet with Roy Dib, a local artist and critic whose latest short film, Mondial 2010, won the Teddy Award at the Berlin International Film Festival. I’m very late—not unusual in a city where punctuality is not taken seriously—but today I can blame the traffic. In the film, a Lebanese gay couple drives from Beirut to Ramallah, Palestine, a journey only possible in the fictional universe of Dib’s film. Relations between the Israelis and the Lebanese are still governed by the 1955 Lebanese Anti-Israeli Boycott Law, which forbids any interaction with Israelis, as nationals of an “enemy state.” Travelling to Israel or the Palestinian territories on a Lebanese passport is impossible.. With that in mind, it isn’t difficult to understand why the film was seen as extreme, given that it unites two highly sensitive issues in the country, Israel and homosexuals. Dib cannot submit his film to the censorship board, nor can he screen it in movie theaters in Beirut—so far, he’s only screened it at private events or in art centers where a screening permit is not required. Under Article 534 of the Lebanese penal code, which prohibits having sexual relations that “contradict the laws of nature,” and is occasionally used to prosecute homosexuals, the 29-year-old artist could end up in jail. Our conversation is briefly interrupted when we see Nayla Geagea passing by. Geagea is Dib’s friend and has spent the last ten years working in the Lebanese legal system. She looks calm but says it has been an especially difficult day — or, as I will later discover, a career-changing day. To live in a country like Lebanon, she says, one needs to pick one’s battles. With that interjection, she’s gone, but we agree to meet soon and talk about her experiences. As Dib and I return to our conversation, he is clearly worried about how his work will be received, and also, importantly, whether it will land him in any trouble. Like many other Lebanese of his generation, he is fighting to create a space in which his voice can be heard in a place that so desperately needs to listen. Back on Mar Mikhail’s main street, I look around me and see young people huddled together—drinking, smoking, laughing. Two years ago, they were drinking in Gemmayzeh, the street just off Mar Mikhail, which was the hip area before people moved to this adjacent neighborhood. Further back still, they drank in Hamra and Monnot; they drank behind green doors, inside bunkers, in their cars. No matter where or when, one thing is clear: this is a country of drinkers. Here people drink without an end in sight. They party hard, drive recklessly, smoke intensely, and talk loudly. It tells the story of a people longing to forget their reality, a people wanting to be transported to a parallel existence where they can worry less, fear less, fight less, and not care one bit about the future, or whether there will be one at all. It tells the story of a people who have lost hope. “We are just kids, but with wrinkles,” Omar Habib tells me. “We always have a sense of our reality but we are ignoring it. 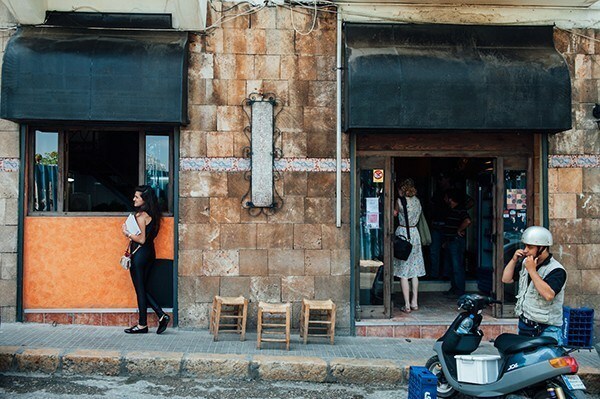 There’s a sense of a malaise that drives people to live in a bubble and do reckless things.” Habib is a marketing consultant and civil society volunteer who came back to Lebanon a few years ago, having lived abroad most of his life. He was conscious of the challenges associated with living in a country like Lebanon, but wanted to return home to connect with his roots and make a positive contribution. He is currently working with the non-profit organization MMKN on programs geared towards improving the performance and confidence of public school students. The state of public schooling in Lebanon is very poor and MMKN’s objective is to help at-risk students succeed academically and not drop out. To stay then is to fight. To stay here means that you need to fight all the time. You fight for electricity, for water, for land, for freedom. You fight against corruption, oppression, inequality. You fight over history, God, borders, elections, world records, virginity, the future. Sometimes you even have to fight for your right to exist. Fighting is, you might say, part of Lebanese nature. After all, this small country on the eastern shores of the Mediterranean is drenched in an endless history of fighting. Battles were fought here before the country was even created. Lebanon has always been — and still is — a battleground for opposing forces, both regional and global. It remains the stage for various foreign powers to carry out their disputes. Wars were waged here and countless civilizations have left their mark. The Canaanites, the Phoenicians, the Assyrians, and the Babylonians have all been here. And so have the Persians, the Greeks, the Romans and the Ottomans. In modern times, one of the more significant of these battles resulted in the creation of modern Lebanon, in 1941. After the fall of the Ottoman Empire, at the end of WWI, Britain and France were keen on dividing the former Ottoman spheres of influence between them. The Sykes-Picot agreement, named after its authors, British General Mark Sykes and French diplomat François Georges-Picot, defined the new domains of control in the Middle East. The British had made promises to the Zionist politicians, seeking to establish a Jewish state in Palestine. Meanwhile, in Mount Lebanon, the Maronites, a Christian sect united with the Roman Catholic Church, had long sought to enlarge their homeland. To the Maronites’ relatively small districts, the French added the coastal towns of Tripoli, Beirut, Sidon, and Tyre, all of which had belonged to the Ottoman province of Beirut. Lastly, they added the fertile Beqaa Valley from the Ottoman province of Damascus. And that’s how Lebanon was born. When the country gained independence from French rule in 1943, an unwritten agreement known as the National Pact formalized confessionalism as the system of government. According to this unique system, political and institutional power is distributed proportionally among religious communities, based on the size of each community. Since then, this has dictated the de facto political framework in the country. Seats in Parliament and positions in government are divided equally between Christians and Muslims, while public offices are allocated along religious lines, the top positions taken by the three most represented religious sects (the president is a Maronite Christian, the speaker of the parliament is a Shi’a Muslim, and the prime minister a Sunni Muslim). Confessionalism was only meant to be a temporary solution but, more than 80 years later it is still in place, though it remains as it was then: an unwritten agreement. Lebanon has always been — and still is — a battleground for opposing forces, both regional and global. Advocates of this system believe it has helped secure the peaceful co-existence of diverse religious and ethnic communities by empowering each community according to its size, while opponents think that it has been used as a tool to instigate chaos — chaos as a strategy to destabilize the whole region. And it is this insidious form of “chaos” that has operated through the arbitrary changing of borders and the displacement of people. Chaos achieved through the division of people who lived together over thousands of years and by hindering all possibilities of unity. Chaos engineered through the dilution of history’s traces, depriving people of a sense of who they are or where they come from. And even chaos nurtured through the ongoing support of a confessional system that has only deepened conflict between different religious and ethnic groups. In February 2005, Prime Minister Rafiq Hariri was assassinated in a massive bomb blast that shook the city and killed 22 other people. Hariri, a businessman turned politician, was a central figure in Lebanese politics and the driving force behind the reconstruction of the city’s downtown area after the Civil War. Hariri was often at odds with the regime in Damascus and his death ignited a series of demonstrations, blaming the Syrian government for the murder and calling for the withdrawal of Syrian armed forces from Lebanon. Syria’s intelligence services had maintained complete control over the Lebanese political system since the early 1990s. The demonstrations, which came to be known as the Cedar Revolution, culminated in a massive protest on the 14th of March, 2005. It was the largest civilian protest Lebanon has ever witnessed. More than a million people marched downtown, flooding Martyrs’ Square—famous for a statue commemorating the Lebanese nationalists hanged by the Ottomans during World War I — demanding freedom, sovereignty, and independence. It was an inspiring day for many Lebanese citizens, who were amazed at the idea that different political factions, some of whom had fought deadly battles against each other during the war, had come together, united, for a better Lebanon. But the inspiring energy of that day was short-lived. While the revolution was successful in pushing Syria’s 14,000 troops out of the country, its momentum and political impact soon faltered as the politicians who took to the podium on March 14th raced to reap the benefits of that day. This led to new conflicts that only widened the divisions inside the country and increased the tension between the political blocs. Marina Chamma, a blogger at Eye on the East, was one of those who marched to Martyrs’ Square and remembers well the sense of joy and unity of that time. “It was a year of great expectations. It was full of hope. It brought people together, but it became clear later that everyone who marched had different expectations, just as the politicians each had their own agendas. We felt deceived when the political parties tried to skew the outcomes of the revolution for personal motives.” I ask Chamma if she thinks the Lebanese are really so different from each other that it is impossible for them to unite, and she says that there is a common denominator—a thread that brings them together—but it has been buried below political affiliations, religious sects, and the redefined geographies of recent history. She adds, “The political system was built in such a way to bury this common denominator even further down. It is as if it was designed to amplify our differences. Before the boundaries were redrawn by Sykes-Picot, the people of the region interacted widely. Omar Habib recalls that his great uncle ran a taxi between Baghdad and Beirut, he was married to an Iraqi woman, and his family used to go to Haifa, in Palestine, every summer, to see relatives there. “Today, no one from Lebanon or Syria can go to Haifa but what people don’t realize is that a lot of Lebanese still have extremely close relations with Palestine, Syria, Jordan and other surrounding countries, because of extended family members,” he points out. In his Pulitzer Prize winning book House of Stone, Lebanese-American journalist Anthony Shadid—who worked as a foreign correspondent for the New York Times and the Washington Post and died in 2012 from an asthma attack while covering the war in Syria —retraces the history of the Levant as he writes about his great-grandfather’s house in Marjayoun, a town in southern Lebanon, near the Israeli border. Once a bustling trading town, Marjayoun is now a village with a dwindling population of 800. Over the last century, Marjayoun witnessed the fall of the Ottoman Empire, two world wars, the 15-year Lebanese Civil War and the 2006 Hezbollah war with Israel, responsible for blowing off part of the top floor of Shadid’s family house. The book spans more than a hundred years of history, examining how the Middle East was remapped and how this impacted the people of the region, especially in modern-day Lebanon, Syria, and Israel. Shadid shows how, not long ago, history, tradition, clan and commerce joined all these now-separated lands. People shared not only a common geography, but cuisine, customs and a very long history. It all changed with the introduction of modern borders, displacing families and separating people who had lived together for thousands of years. Habib says that the main preoccupation of any controlling political power is to prevent the people it controls from becoming too powerful. It can do so, for example, by refusing to let them unite. In his new video installation, Dib explores this concept directly. The filmmaker uses the male couple’s debate as to whether to use a condom, after being together for one-and-a-half years, as an analogy to explain his position regarding the Palestinian-Israeli conflict. Dib suggests that the wall was not erected because the Israelis are afraid of the Palestinians, but because they fear Israelis would mix and fall in love with the Palestinians, and eventually get married and have babies: a force that would threaten Israel as a Jewish nation. On the day I bumped into Nayla Geagea, she was just back from a conference commemorating the 25-year-anniversary of the Taif Agreement—the document that provided the basis for the end of the Civil War in Lebanon. The conference aimed to review the time elapsed since then, to analyze what aspects of the agreement had been accomplished and which remain to be addressed. At the time, the parties had pledged to eliminate the confessional system. especially since, when it was signed, the country was emerging from a civil war that had brutally displayed the horrors of sectarianism. The document therefore called to “abolish the sectarian representation base and rely on capability and specialization in public jobs, the judiciary, the military, security, public, and joint institutions, and in the independent agencies, in accordance with the dictates of national accord, excluding the top-level jobs and equivalent jobs which shall be shared equally by Christians and Muslims without allocating any particular job to any sect.” Saying this still is a work-in-progress would be, well, generous. Geagea herself specializes in human and economic rights cases with some public policy work. We meet three weeks after bumping into each other in Mar Mikhail. She tells me that she has been going through a tough period of her life. She’s been considering her options, and thinking about whether or not to continue as a lawyer. She’s been questioning whether what she does has any meaning and has felt stuck in a cycle of picking losing battles. “It takes a lot of experience. You have to hit a lot of walls and dead ends before you can actually understand how things work in the country,” Geagea observes. Frustrated and depressed, she has been thinking of trying a stint as a cook. Her frustration seems to stem not only from the fact that her previous battles have all hit a dead end, but also from the utter shock of figuring out how bad the situation in the country really is. So, why did that day at the Taif conference prove to be so career-changing for Geagea? She told me she had derived great inspiration from a roundtable featuring a Swiss academic, who had discussed his nation’s model of confessionalism. Switzerland is composed of different ethnic groups that manage to exist fairly harmoniously together. And, although it would be impossible to take the Swiss model and apply it wholesale to Lebanon, the academic argued the Lebanese could benefit from the Swiss experience by borrowing what he termed the ‘culture of compromise’—the core philosophy of the Swiss political system. According to this view, countries composed of different ethnic or religious groups need to foster a culture of compromise in order to create a space for all to coexist, especially if there are deep divisions. You have to hit a lot of walls and dead ends before you can actually understand how things work in the country. This concept resonated strongly with Geagea. She says it brought her to reflect on her own inability to compromise. This is why, in her view, she was failing as a lawyer, because in a country as complex and complicated as Lebanon, you can’t deal with matters as either black or white. This epiphany led Geagea to go back over her last ten years, analyzing the different projects she had worked on and trying to understand what went wrong. Geagea cites one small victory she was involved in. 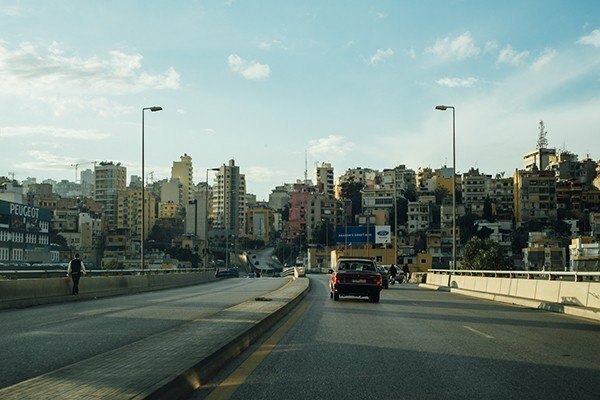 The Lebanese confessional system does not allow a citizen to “exist” without a religion, because non-religious people are not recognized by the state. In 2010, she was part of a legal team that proposed a bill to have the religious sect removed from the Lebanese identity card. Though this does not deny religious authorities complete control over civil family issues inside the country, it was still an important victory. Particularly when one considers that, during the Civil War, that religious affiliation stated on IDs caused motorists to be slaughtered at checkpoints. For now, Geagea seems quietly determined yet circumspect. “Not every time is the right time to start a fight. You can always lose the battle, and burn yourself and everyone who is working with you,” she concedes. In the past she was opposed to such an approach, because it would have forced her to maneuver in subtler ways in order to achieve her goals. But she has had to come to terms with the fact that, to wage battles in a country like Lebanon, she needs to compromise. After my meeting with Geagea, I take a service taxi to the Corniche, Beirut’s seaside esplanade. On our way there, a traffic officer randomly stopped the driver and asked for his papers. It was just a quick, routine check license and registration. The driver, however, was furious. He ranted about how, when the country is completely out of control, the authorities busy themselves with insignificant issues like car registrations. He turns on the radio. This time Fairuz is singing. Her voice reigns in the car until we reach the Corniche. This place truly is the city’s melting pot. People from all walks of life, social classes, religions and ethnic backgrounds, come here to wash their worries away. They run, play, smoke shisha, drink coffee, flirt, gaze at the sea, and chill. This is where the city comes to breathe. It’s a place for everyone. 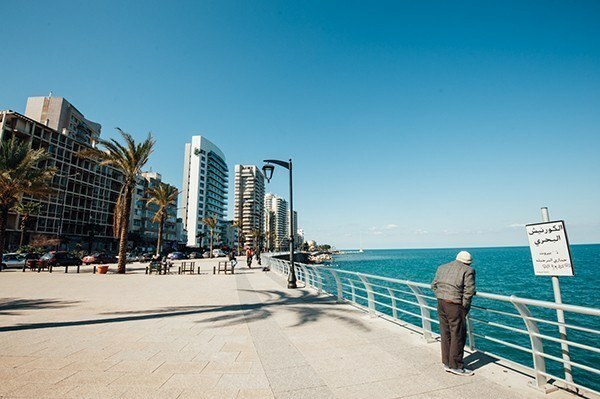 In many ways, the Corniche has come to represent what Lebanon has so far failed to embrace: the richness of its diversity. Here, no compromises are made. No battles are fought. This article originally appeared in the third issue of the Berlin Quarterly.